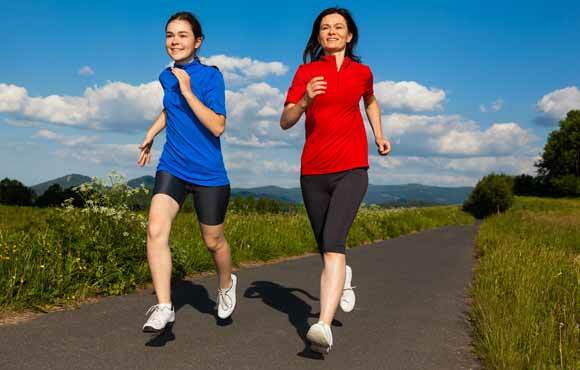 My tween daughter and I formed our own mother-daughter running club last fall. I wanted her to use it as cross-training for soccer, build endurance and speed and maybe, just maybe, run every step of a race. She, on the other hand? Well, she wanted to make matching T-shirts. I learned in the first two weeks that our goals were never going to align. She didn't care how far we ran before we walked or if she had gotten any faster on the field. She liked the idea of running a race together (because, matching T-shirts! ), but was just as happy to finish that race at a walk. -Pointing out a beautiful sunrise or pretty pattern of dew on the grass. -Feeling accomplished, and telling her friends that she had "already gone for a run" before school even started. So I abandoned my running-based goals and we focused on other benefits. I'm so glad we did, because what we both gained from Mother-Daughter Run Club has little to do with speed or endurance and everything to do with the mental and emotional benefits of running together—things I hope will last throughout her life. As my daughter gets older, her friends are becoming more important. She has more homework, band practice before school and soccer practice after. Carving out a few mornings a week for the two of us has become our time together. 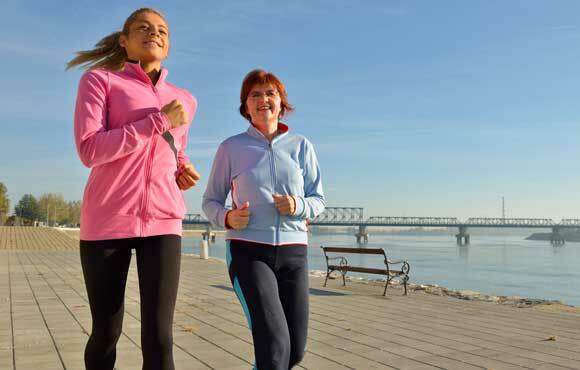 If you're a runner, you know that your running partner quickly becomes a close friend. With nothing but miles and time, stories come out at their own pace. 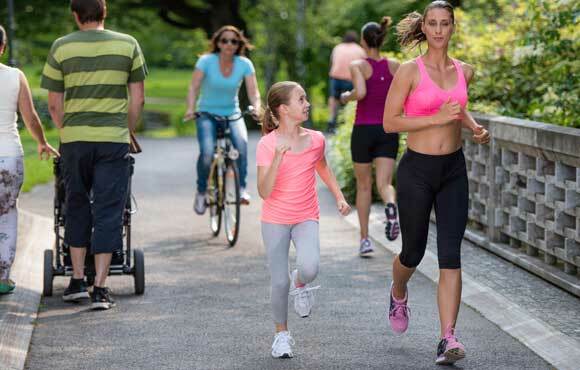 Running with a child is the same; it encourages indirect communication in a comfortable setting. 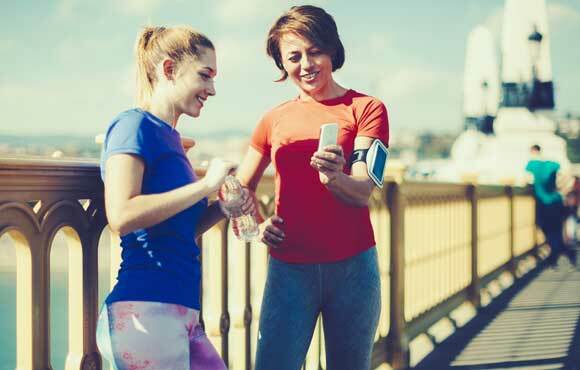 Like riding in a car or talking in the dark, talking while running can be less threatening and more private for a tween or teen. I'm not staring at my daughter waiting for her to respond to my questions because I'm watching the road. As a result, she often opens up more when we're on a run. When my kids started asking why I run, my canned answer was always the same: Running increases the production of endorphins, promotes sleep and increases self-confidence. 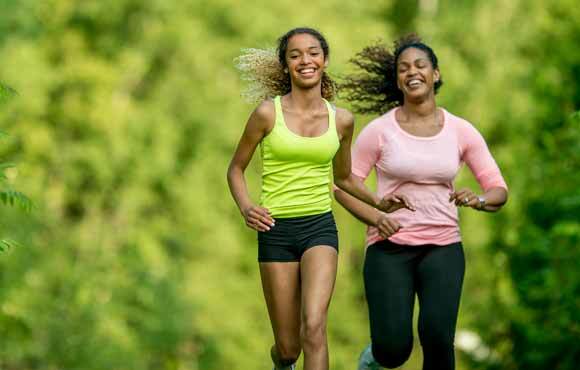 My daughter and I started running when her friends and life felt a little overwhelming. One of the first things she noticed was she felt happier after our morning run. 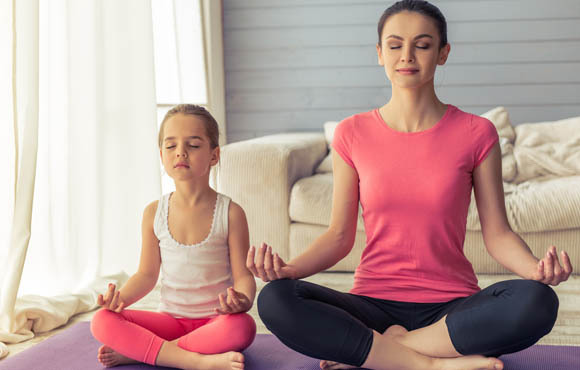 She learned at a relatively young age that exercise can be a useful tool to help her manage stress and daily life, and that's an invaluable lesson. There are plenty of studies and entire groups dedicated to discussing the importance of positive, healthy role models for girls. They often relate to female athletes; for example, my daughter has read every book Alex Morgan has written, has her poster on her wall and proudly wears a No. 13 jersey. 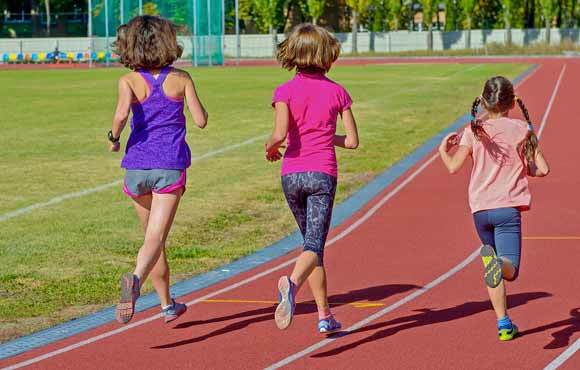 By running with my daughter, I'm providing her with another kind of positive, healthy role model—one that depends less on skill and achievement. If my daughter decides to be the next great American soccer player and achieves that goal, I'll support her. But if she doesn't, I want her to see the real benefits of a prolonged healthy and active lifestyle, lived at a more moderate level. I promised my daughter when we started our running club that she could set the pace. We leave the house and run as far and fast as she chooses, walk when she wants and then run again. Admittedly, I do still try to encourage her, but I'm working hard to leave it up to her. She spends so much time working on projects—whether they're for school, home, band or sports—that other people assign or suggest. This is one area where she can set her own pace and blaze her own trail. When you're 11, it's SO FUN when you run faster than your mom. Sometimes, "setting the pace" translates directly into "dropping my mom while giggling." I still remember the first time I realized I could swim faster than my own mother. I was about my daughter's age and I was faster than an actual adult! I love seeing that same sense of wonder and glee and pride on my daughter's face. My daughter decided she wanted to do a race together. She realized that meant she had to think about how she was going to get from point A to point B (from running a mile to completing a 5K, in this case). Did she want to walk? Did she want to run? The great thing is that she's learning to set her own goals, to own what she wants and to reach for what's important to her—not what somebody else wants (even if that somebody else is her mom). She is making choices for herself, and therefore is more dedicated to her goal. That, and the matching T-shirts, of course.